Hello people, how are you doing? First of all, I would like to thank you all for loving my last review post. I am really grateful to have readers like you. You inspire me to do better each time. Also, I have been trying a new set up for my images. A lot of you guys have loved the new images. Thank you so much for your support. Today, I am up with an unboxing post. 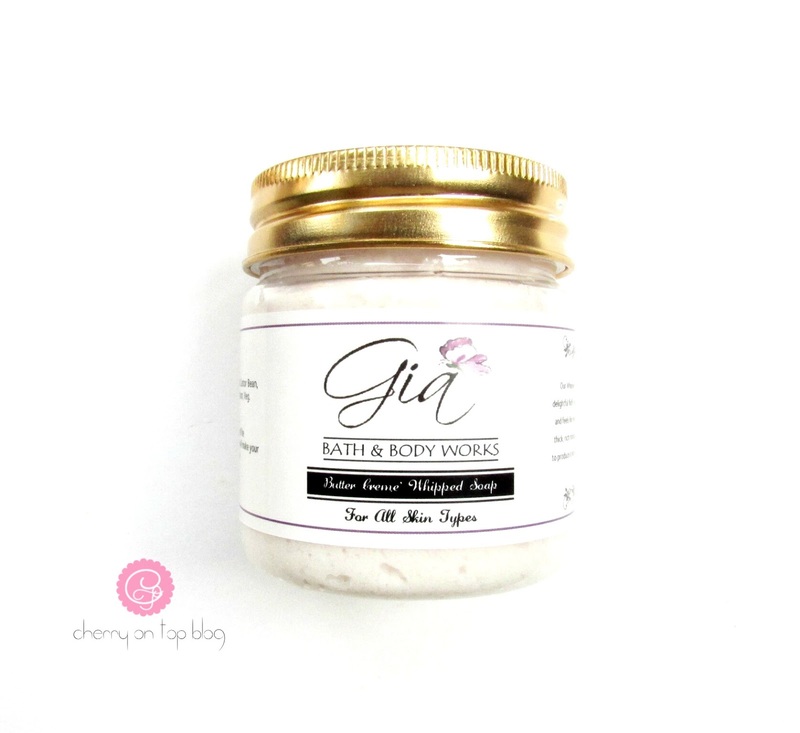 You guys know how much I love Gia Bath & Body Works products. I have been wanting to try their newly launched subscription service but could not get a chance until last month. 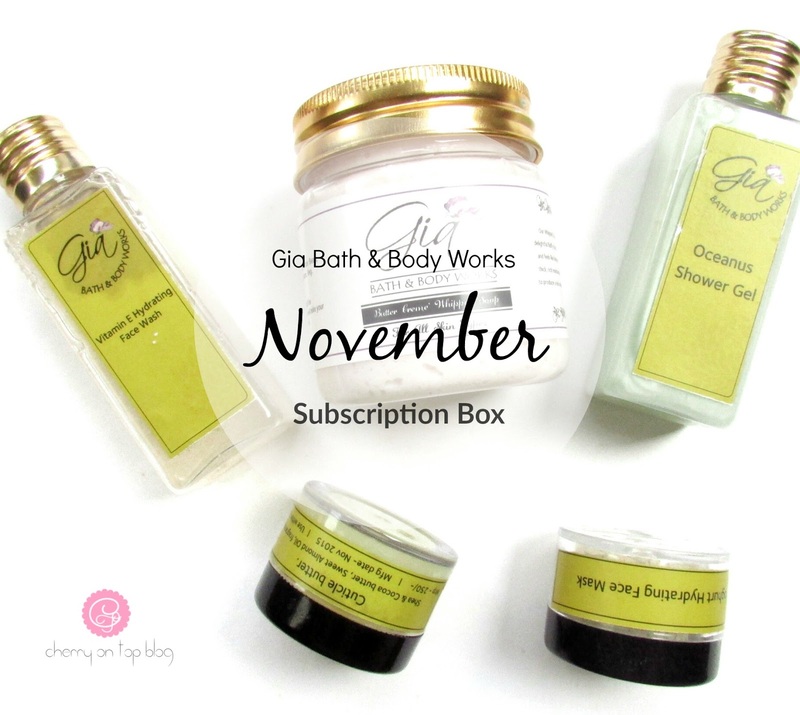 So, I chose to order the November Subscription Box for myself. 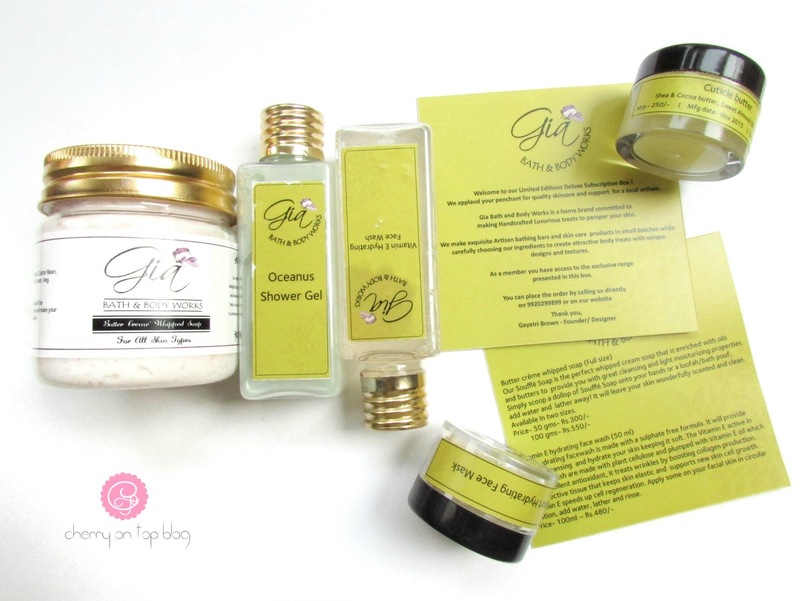 I received the box a couple of days back and fell in love with the products instantly. The box contains 2 full-size and 3 sample size products which are completely handmade, organic and cruelty-free. Let me show you what I got inside the box. 1. Butter Creme Whipped Soap (Full Size) : This is something I have been craving for since their launch. A soap in the form of whipped cream is beyond amazing. I have not tried it yet but believe me, it smells divine! I will post a full-fledged review on this one once the testing period is over. 2. Vitamin E Hydrating Face-wash (50ml): This face wash is a treatment-in-a-bottle if you have dry skin. In winters, my skin behaves in an exactly opposite way than how it does in summers. It’s dry, flaky and extremely unhealthy during the cold months. I have been washing my face with this face wash ever since I got it and I can tell you that I am really loving it. It’s thick, lathers really well and keeps my face hydrated. Good job, Gia Bath & Body Works! 3. Oceanus Shower Gel (50ml): This one smells D-I-V-I-N-E! I had to write this in caps because I can’t make you smell is shower gel. It has a calming aroma that lingers for almost a couple of hours on me. I will definitely buy a full size of this once I finish this bottle up. 4. Yogurt Hydrating Face Mask (15gms): This is a face mask that supposed to hydrate your skin as you can assume from the name. This comes in the form of a dust that you need to mix up with rose water or normal water, make a paste and apply as a mask. I have not tried it yet bu I think I am going to love this. 5. 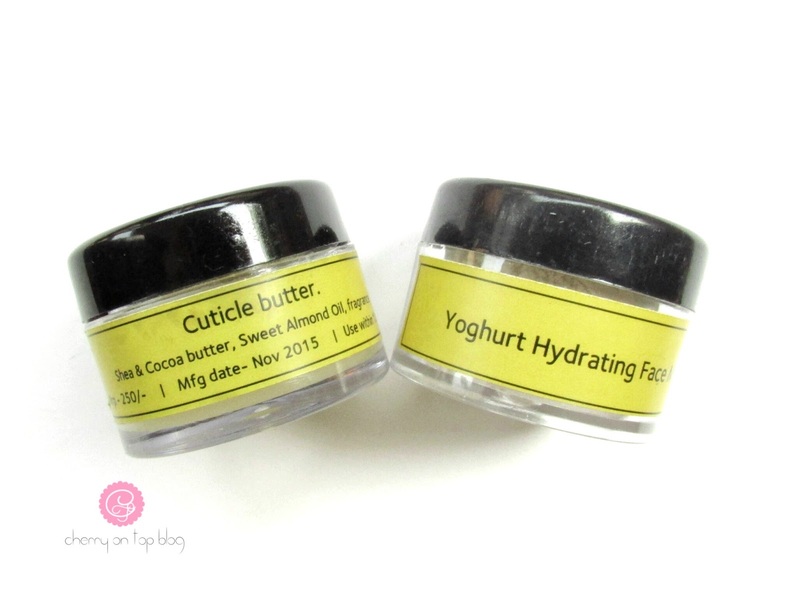 Cuticle Butter (Full Size): This is, as you can tell from the name, is a cuticle butter that has a balm-y texture. As the description card says, it is made of shea and cocoa butter with sweet almond oil. I am yet to try this product but I am totally in love with the aroma. I will let you guys know my final thoughts on it very soon. 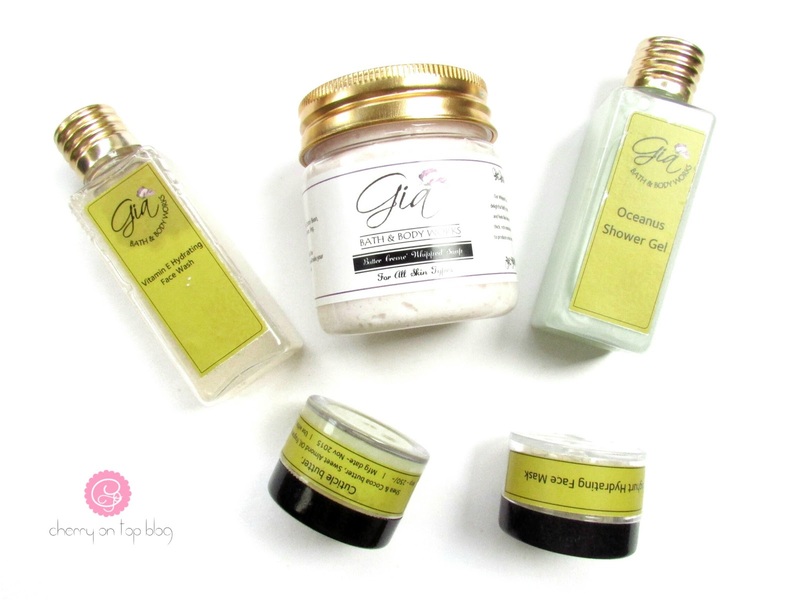 So, this are the 5 products that I received in my first ever subscription box by Gia Bath & Body Works. I am really impressed with the selection of the products for this month’s box. You can book next month’s subscription box here. Which of the products you want me to review first? Thanks for reading this post. See you next time with a new one. Till then, be safe & keep smiling!